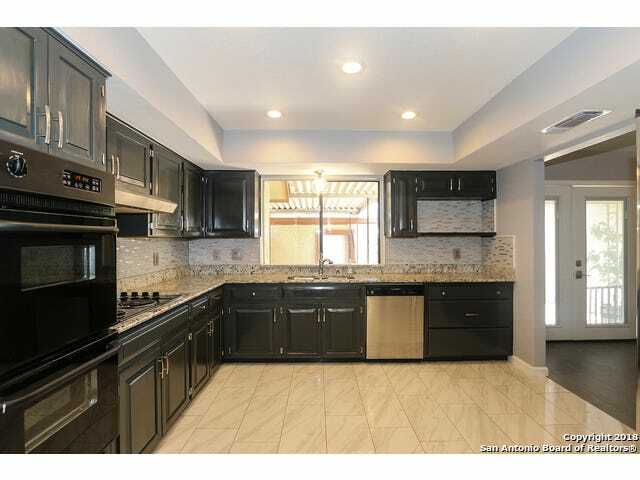 Exquisitely remodeled townhome! High-end, contemporary porcelain tile downstairs with granite countertops in the kitchen. Gorgeous, updated bathrooms include double vanities in both full baths. Stunning bamboo hardwood floors greet you at the stairway and continue through entire second floor. Dramatic rock fireplace, built-in wine refrigerator, lots of natural light and privacy. Three outdoor sitting areas; two overlooking the community pool. Two car garage and ample guest parking. Provider CPR Covenant Partners Realty, Inc.